According to experts, nowadays a large number of buyers are shifting from cars to utility vehicles. 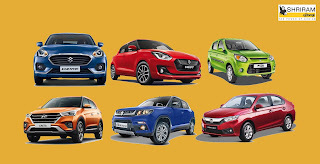 As it’s no new news that people want more for less money and this is where mid-size Utility Vehicles are coming into the picture.PV market leader Maruti Suzuki India, which has a commanding 52.50 percent PV market share, sold 152,427 units in the domestic market in July 2018 (-0.57%), taking 52.38 percent of the overall Indian PV market and leaving the balance for 14 other OEMs. 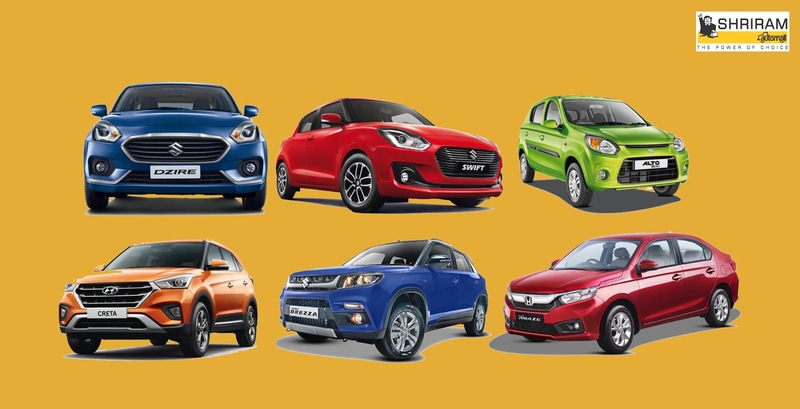 Its six cars in the Top 10 for July – Dzire, Alto, Swift, Baleno, Wagon R and Vitara Brezza – together account for 115,491 units or 75.76 percent of its sales in July. With Kerala, which is a strong PV market, currently bearing the brunt of heavy rains and floods, sales are likely to be impacted in the coming months. Nevertheless, with the beginning of the festive season in the country around the corner, OEMs will be gearing up to keep their dealers well stocked. These Top 10 cars will continue to be prime movers and shakers in the coming months. While always following the Latest Trend Shriram Automall India Limited (SAMIL) has bought the Top 10 Cars that are best for you. Company understands that while buying any of the used or new car consumers take time to respond. They want feedback from the people who have bought or tried the vehicle, that is why the list is based on the demand and feedbacks of the customers in market. If you are an interested buyer or a seller of the used vehicle, feel free to opt for the amazing transaction platforms of SAMIL to buy any of the used Top 5 Utility Vehicles. You can both visit your nearby Automall or download “MY SAMIL APP”, to get in contact with the professional team. We at Shriram Automall needed to wish everybody a Happy August Fifteenth i.e. our Independence Day! In the interest of everybody at SAMIL we thank the individuals who all through the history battled for our Independence, So, that we could live in peace. In this way keep in mind their forfeit and commend this day to the fullest. Acquire your own pre-owned car you always wanted and let your small kids as well as school going children know about the historical backdrop of India's autonomy on your way to the "Red Fort". As it was on this day in 1947 on which India ended up free, that too with a ton of battle. India dependably has had a rich culture, which with time has just gotten inventive. Shriram Automall India Limited (SAMIL) an Indian organization that appeared in 2011, through its inventive stages has turned into the No.1 name for pre-possessed vehicles and gear exchanges. Over a little time of 7 years, organization has been perceived four times by Limca Book of Records and numerous other industry honchos for providing the best in class inventory of pre-owned vehicles and equipment in India and additionally for organizing the highest number of online and physical bidding events in a day. 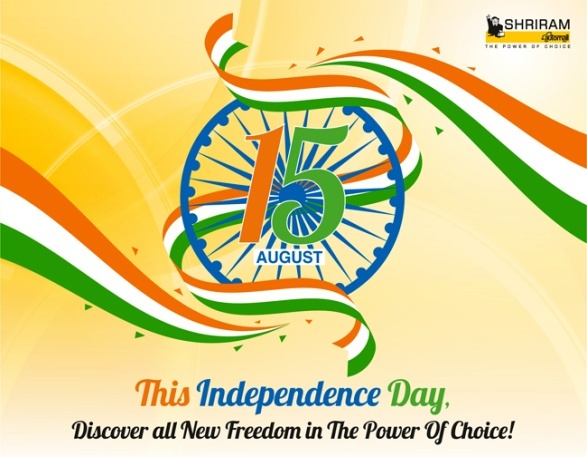 Today on our 71st of Independence, Company wishes individual Indians and any individual who needs a reason to celebrate by truly spreading the delight of being free in our democratic nation. We trust all Indians delight and work towards a superior, more excellent India where we look to ourselves to enhance our lovely country. In this way, how about we take a pledge to take after the new government standards to contribute towards our nation, influencing it contamination to free and substantially more innovatively progress. In India, the automobile industry accounts for 7.1% of the nation's total national output (GDP). The Two Wheelers fragment, with 81% market share of the overall industry, is the pioneer of the Indian Automobile showcase. For the general population who are attached to riding a bike or have a bike in India, there comes a period when they require a difference in model to characterize there style and also be durable as well as vogue. The majority of these individuals are youths or individuals in their Thirties or Forties who just need to taste experience that accompanies trend. In India, gathering of energetic bikers exist since ages, now ladies bikers have additionally begun joining these gatherings ensuring delight of biking not to be bound just to the young men. As any bike lover in India, individuals request variety, consequently anticipate to change their present model with the fresher and better one. Be that as it may, Acquiring another most recent model isn't generally reasonable and additionally a not so smart decision. 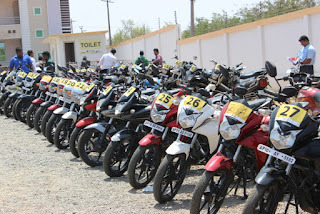 Subsequently Shriram Automall India Limited (SAMIL) while understanding the market and its client necessities offer the Best in Class Line up of Used Motor-Bikes of each make and model. Clients from any and each age with a Driving License can gain the coveted model from different offering stages. In the meantime, clients can likewise dispose their beforehand utilized bike. As SAMIL being a main name gives the immense client database, helping the proprietor to get the best deals to the most innovatively organized bidding platforms. However organization comprehends it is dependably a more astute alternative to do your research well in advance. Accordingly you can do it and afterward discover it that for every one of your necessities SAMIL is the OneStop destination which comes with provision of keeping complete transparency. Things being what they are, what are you sitting tight for? In case, you are looking for a bike change or for acquiring your first one Shriram Automall is there for you with a perfect blend of its bidding platforms where people can acquire or dispose pre-owned vehicles and equipment. To enlist click the connection underneath or download MySAMIL Mobile App for your benefit, as by downloading the application you can gain your new used bike from the solace of your home.